I started my massage career in 1996 by graduating from the 70 hour Swedish Massage program from the Massage Therapy Training Institute in Kansas City, MO. I worked as an apprentice in the 1000 hour Kansas City MO Licensing program. In 2011 I started the year long 750 hour Massage Therapy program from MTTI/Wellspring in Kansas City, MO, graduating in 2012. I continue to attend Workshops/Special events and pursue every educational opportunity. My philosophy is grounded in the belief, "Do no harm"; the Hippocratic Oath is the most famous reference to this declaration of medical ethics but I prefer the original statement, "As to diseases, make a habit of two things—to help, or at least to do no harm. "(Epidemics I.11). I believe the practitioner of therapeutic massage has the responsibility to their client of creating the most effective and safest plan in order to treat and facilitate healing. 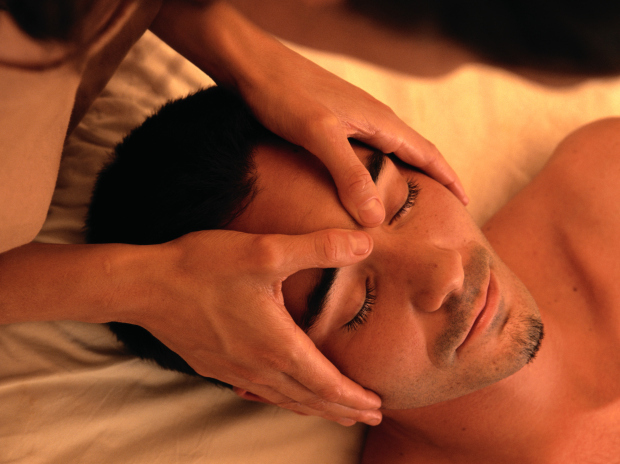 The different modalities, techniques and experience are considered the "Toolbox" a massage therapist has and uses in their practice. I am a lifelong learner who is constantly exploring the best and most effective "Tools" I can collect and use. My work history has been with the majority focusing on customer service in the communication/computer industry. I have discovered I am a curious person who loves a problem or puzzle to solve and I have a tremendous passion to help people. Being able to make a real difference in the physical, emotional, mental & spiritual health of another human being through the art of touch is incredibly rewarding, I absolutely love what I do! I have lived in the northland area of Missouri for 20 years while working in the greater Kansas City area on both sides of the state line during this time. I have three beautiful children and a lovely wife who has supported me in all my endeavors, which has enabled me to be where I am today. I love sports, both playing and watching with the occasional coaching mixed in, I believe that a great deal of lessons in how to successfully live your life can be attained through the playing of team sports and I encourage everyone to give it a shot. Working in collaboration with chiropractors, creating and implementing a personalized and specific health plan integrating soft tissue work with skeletal alignment. Recording medical SOAP notes in a clinical format and submitting to various insurance entities for billing purposes.